Are you moving your PrestaShop e-commerce website to a different domain? In this case, you have to update PrestaShop with the new domain name. This tutorial explains what changes need to be done in order to change domain used on PrestaShop. Access your PrestaShop Admin dashboard and click on Preferences button. Inside Preferences section, click on SEO & URLs button. Scroll down and you will find SET SHOP URL section. Inside of Shop domain and SSL domain text boxes, type the new domain name that you want PrestaShop to use. Do not change BASE URL value, unless you moved PrestaShop to a different folder. For example, if you installed PrestaShop in the document root directory (usually it’s public_html), then the base URL should be /. Alternatively, if you installed PrestaShop in a subdirectory (for example, public_html/prestashop), the base URL is /prestashop, where path represents the folder name. After that, hit Save button and PrestaShop will be updated with your new domain name. 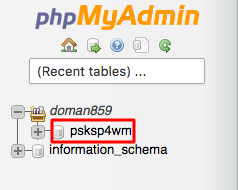 Yet another way to change PrestaShop domain is to use phpMyAdmin. Login to your hosting control panel and access phpMyAdmin. Once you have phpMyAdmin open, select your PrestaShop database. Find the table named configuration and click on Browse button. 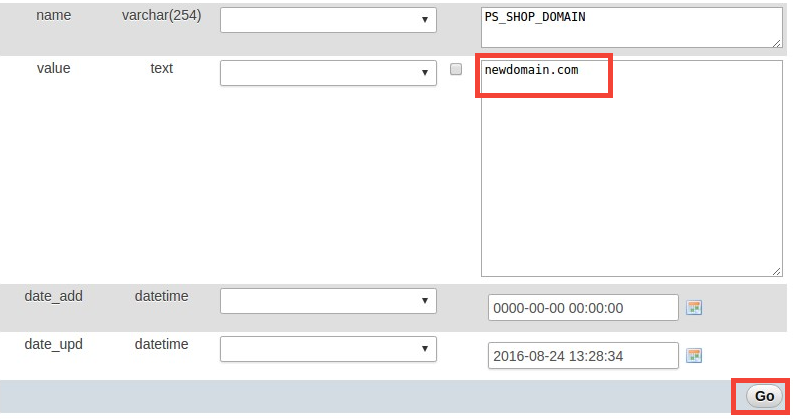 Locate the records for PS_SHOP_DOMAIN and PS_SHOP_DOMAIN_SSL and click on Edit button. Replace the old domain name with your new domain name and click on Go button. Please note that you have to replace the old domain name with your new domain name in both PS_SHOP_DOMAIN and PS_SHOP_DOMAIN_SSL records. After that, PrestaShop will be updated with your new domain name. Congratulations, you have just learned how to change your PrestaShop domain name. Now you can use your new domain name on your existing PrestaShop installation.